Good Morning and Happy Thursday. 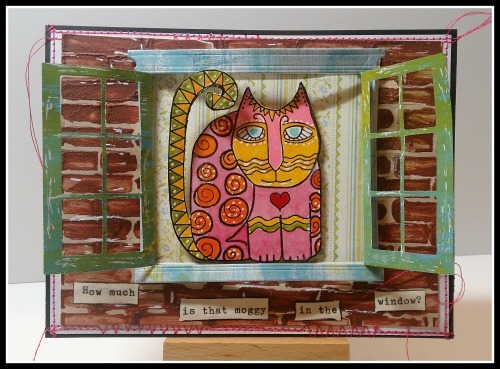 It's day 2 of our Kitty event on the Lost Coast Portal To Creativity and here's my moggy. I've used the new Cat Wavy Face stamps and lots of paint and stencilling. Please join us and show your favourite feline over on the Portal. Love your Moggy in the window. Great idea !!! Thanks for sharing. Do tell - what is a Moggy? What ever a Moggy is, I love the one in your window!